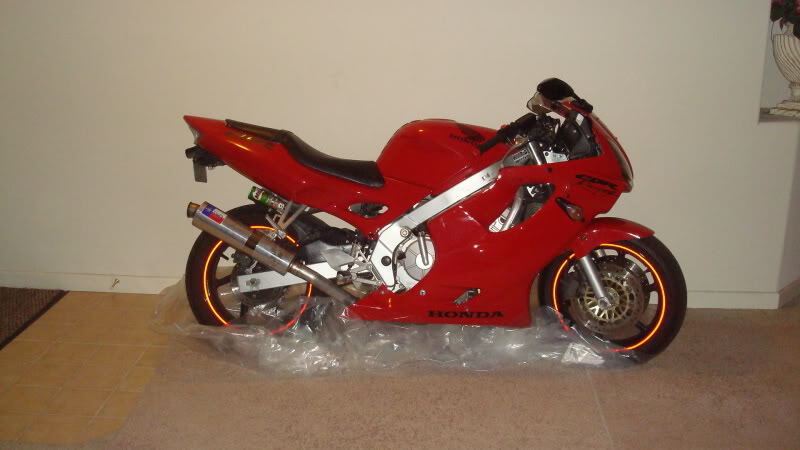 this was after a paint job thats why she looked so plain without any of the OEM graphics. Now fast forward 6 month and I finally begin my project of dressing her up in a graphics kit. I picked up about a dozen sheets of 3M reflective vinyl on ebay for super cheap and begin my project. I wanted it to look like a the 600rr graphics but it turned out to be alot harder because of all the grooves and curves on the f4i body. anyways, several hours later i finally finish. the top foto is with daylight and flash from the camera. 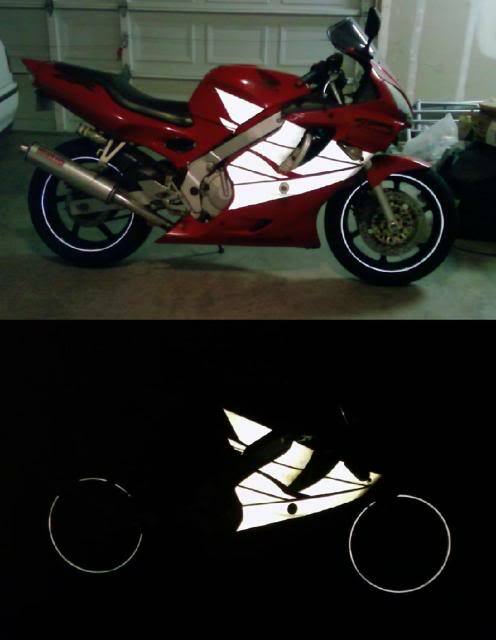 I really like the reflective vinyl because it makes me VERY visible at night. anytime there is any light directed toward my bike from any direction it illuminates powerfully. Wow I like it a lot. Great job, man! Very nice. Unique look that is safety conscious. Very nice! Reflective vinyl is the way to go!